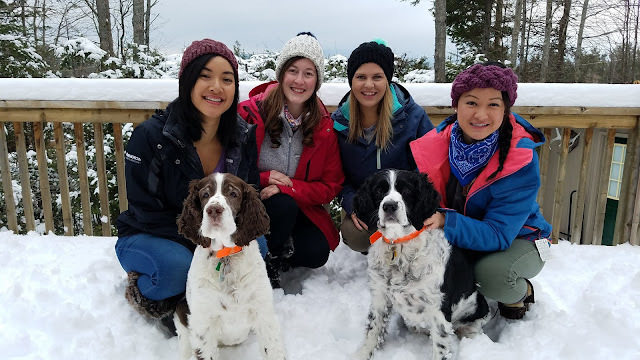 As mentioned in my last post, I recently went on a girls trip farther north to play in the snow. 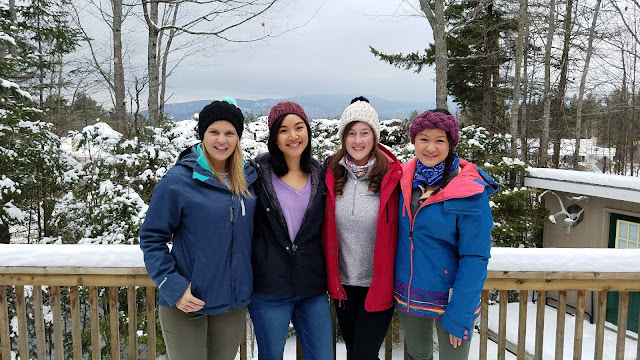 To make the trip a little more special, I made each of the girls some beanies/headbands to stay warm. The first one I made was a black cabled beanie using All About Ami's pattern. I also blogged about it here a few years ago with some modifications I made to the first one I made. I've noticed that the faux fur pom poms are really in for beanies. My friend and I were at Michael's and they didn't have any faux-fur pom poms available, but we did find key chain pom poms. All I did was use some wire cutters to cut the key chain. 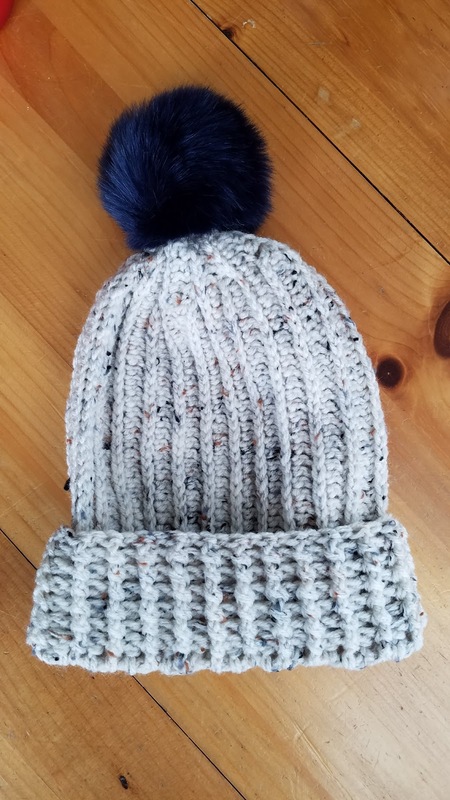 The pom pom had a little loop in it already, which made it really to sew to the top of the beanie. It matches my friend's snow jacket perfectly! For the second beanie I made, I used my Ribbed Beanie Pattern, but instead of using chunky yarn, I used worsted weight. 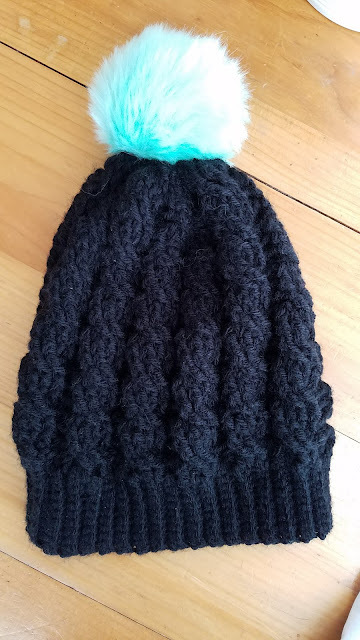 Again, I found a key chain pom pom from Michael's and cut the key chain part to sew to the top of the beanie. I think they turned out great! I love improvising when making crochet gifts, I feel like it makes it a little more special. Here's a picture of all of us in the snow with the pups! For my friend's headband on the right, I used this YouTube tutorial by Crochet Beignet for a braided ear warmer. It's so beautifully textured and warm!